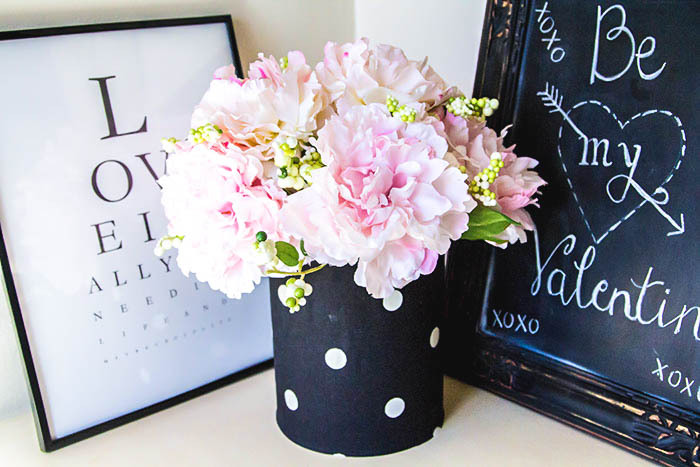 The day dedicated solely to romance is here… Whether you’re into the mushy gushiness of Valentine’s Day or not, it’s definitely fun to decorate your space for the occasion! 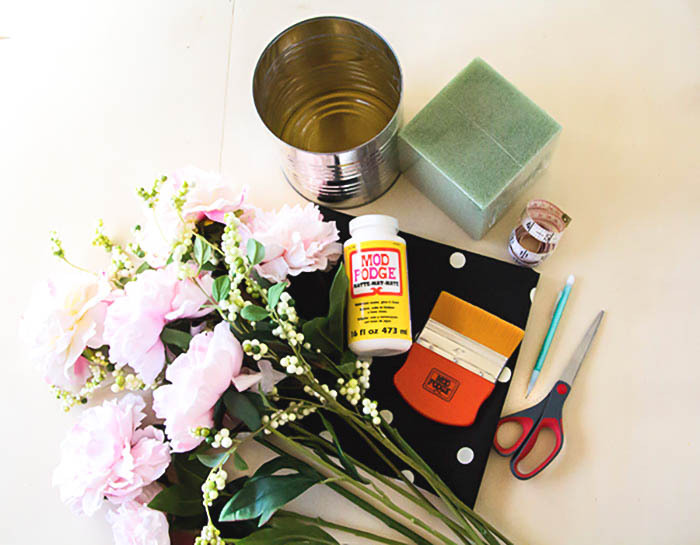 We’ve put together an easy, cheap and adorable Valentine’s Day centerpiece that is sure to please your lover. The best part? 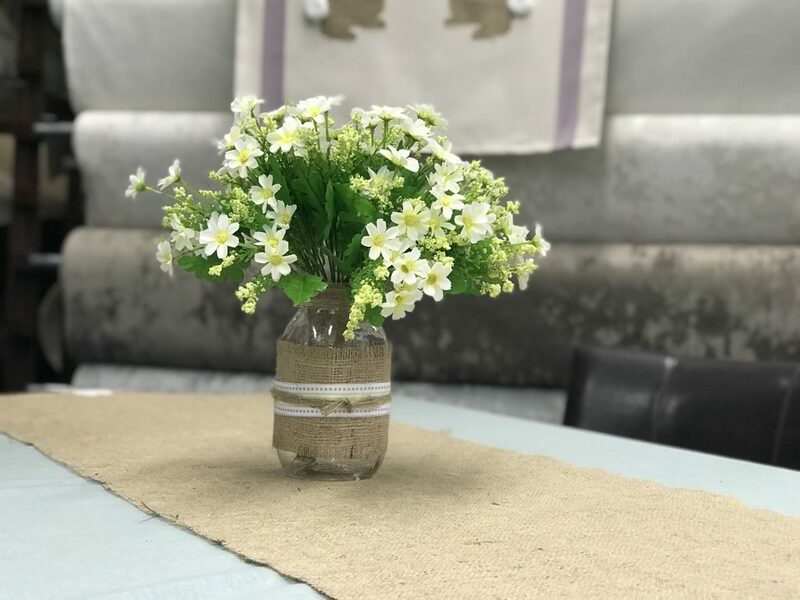 It can be transformed to fit any season with a simple switch of flowers and surrounding decor. 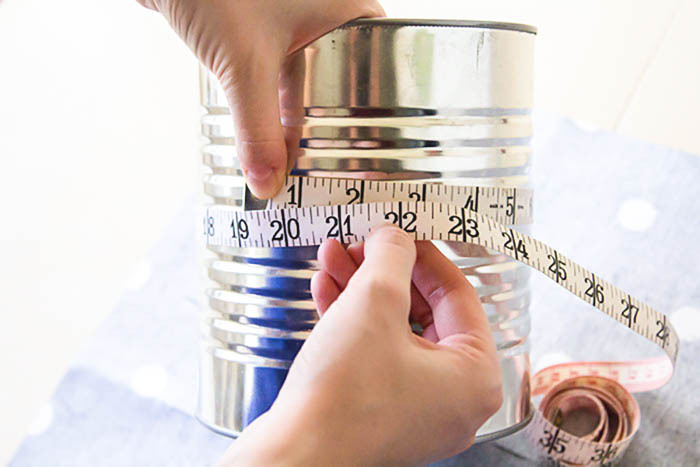 Use a measuring tape to measure the circumference of your can or vase. I used an old can from my pantry. 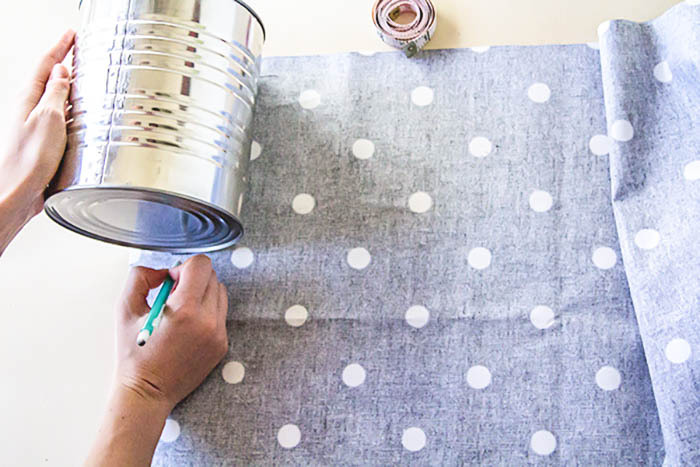 Lay your can on the fabric or paper, aligning the top with the edge. Use a pencil to mark under your can. Side note: I chose fabric because I like the texture. 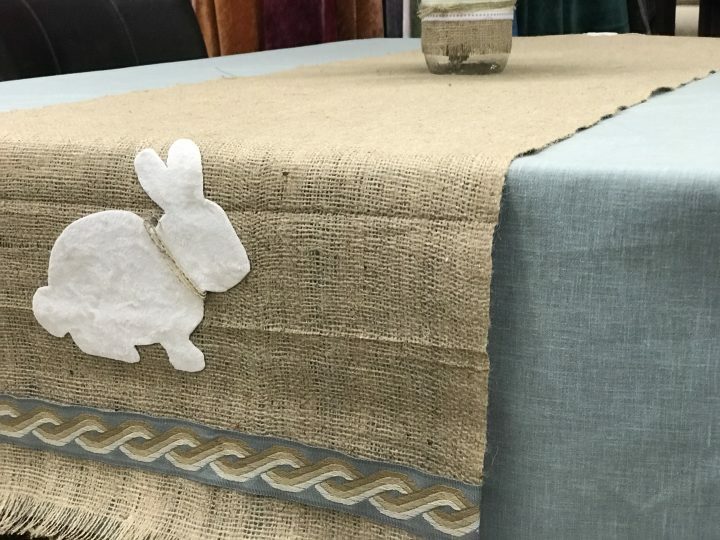 Also, fabric is usually longer than paper, meaning you won’t have to create an awkward seam on both sides to wrap it completely around the can. 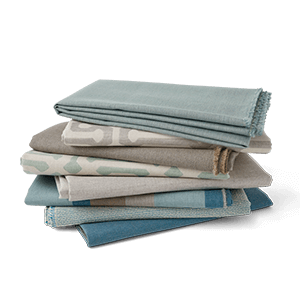 We have this fabric in our store and I love how it is bold yet neutral enough for year-round. Using your measuring tape, draw a dotted line. 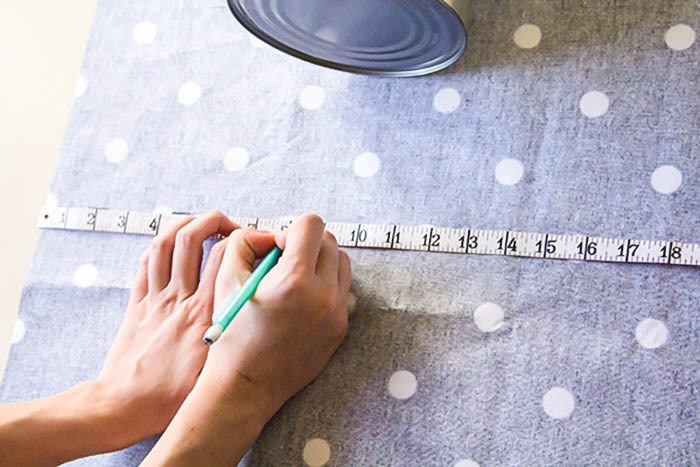 Extend the line a little longer than the circumference measurement from Step 1 so you have enough fabric to wrap completely around your can. Cut along the dotted line. 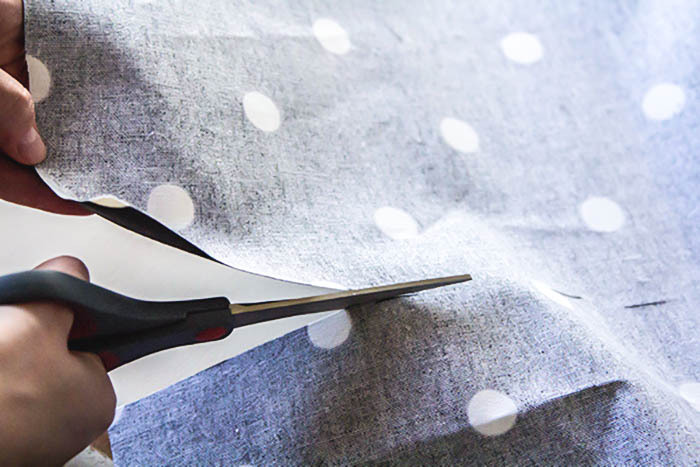 When you reach the end of the line, turn and cut directly up towards the edge of the fabric. 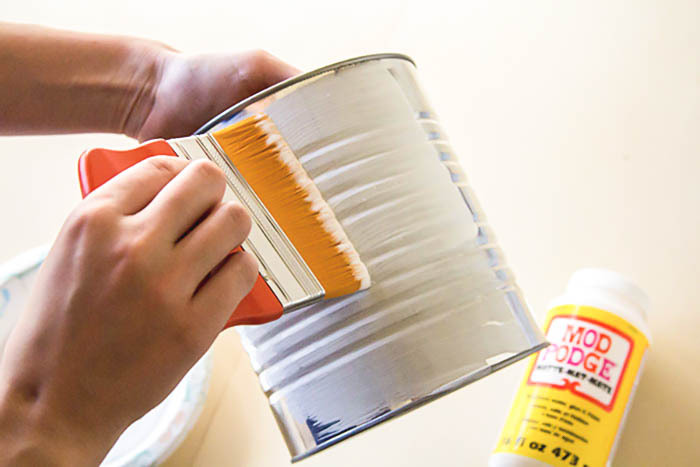 Use your brush and paint the Mod Podge over the exterior of the can. 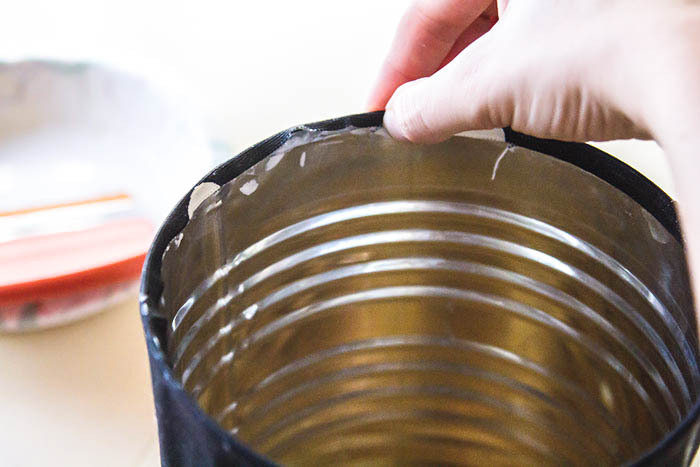 Make sure you cover the entire can, leaving out the inside and bottom. 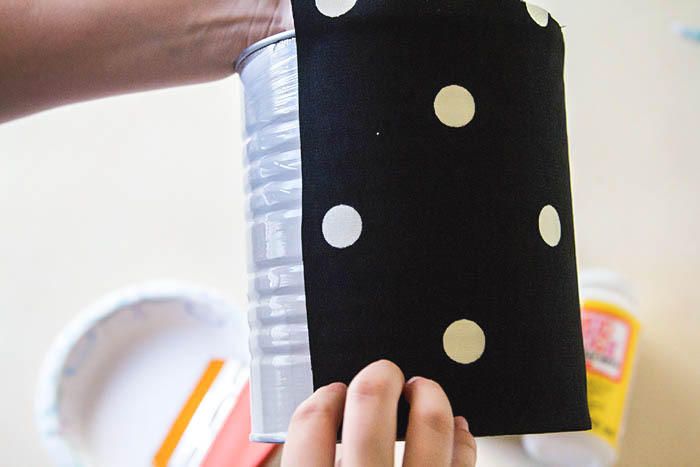 Align the fabric with the bottom of the can and gently press it against the can, moving slowly as you turn the can. You might have a little extra fabric on top. I wanted a little extra fabric on top to fold over the can. If you have extra fabric, brush some Mod Podge at the top lip of the can. Don’t add too much! Then gently press the extra fabric over the top lip and into the can, holding each part for a few seconds. You might have to press each sections a few times until it holds. Place your styrofoam into the can. You might have to cut a little off the corners if it doesn’t fit. 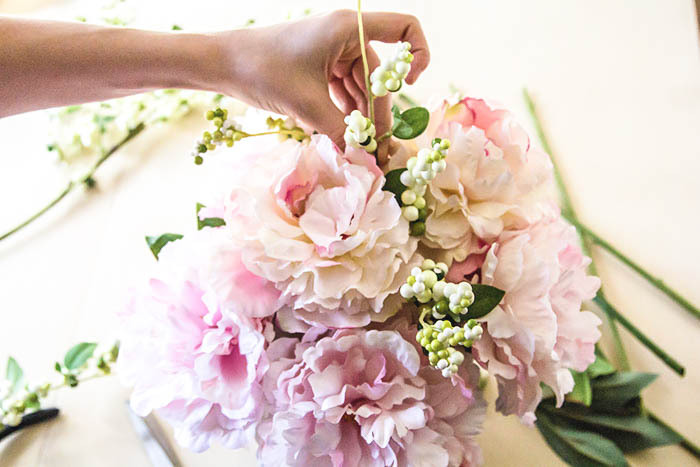 Determine what kinds of flowers you want to use and what type of arrangement you’d like. I chose pink peonies because I love how airy they are and, in my opinion, they are perfect for spring and Valentine’s Day! 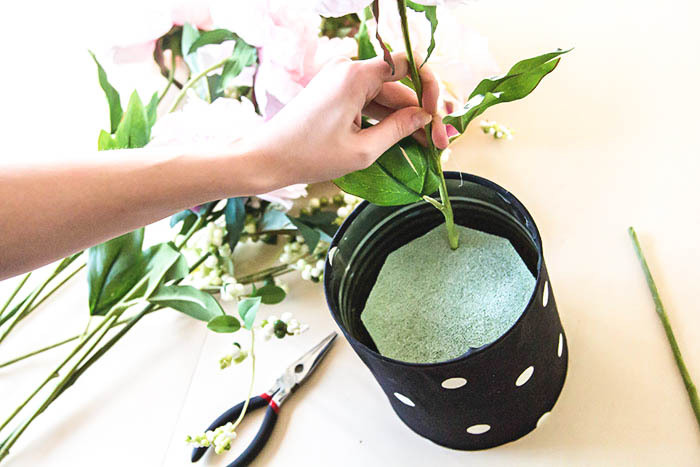 Begin placing the flowers where you’d like and push them into the styrofoam. Keep placing your flowers until you get the look you want. Side note: If you have long stems, you will need to cut them down to the length you’d like. I wanted a loose bulb shaped arrangement, so I cut about half the stems off each flower. To add dimension to your arrangement, choose smaller flowers, foliage or berries to intersperse throughout. I love how the light pink, light green and white look so fresh and the berries add a nice texture paired with the peonies. Voila! Your decorative vase is now complete! 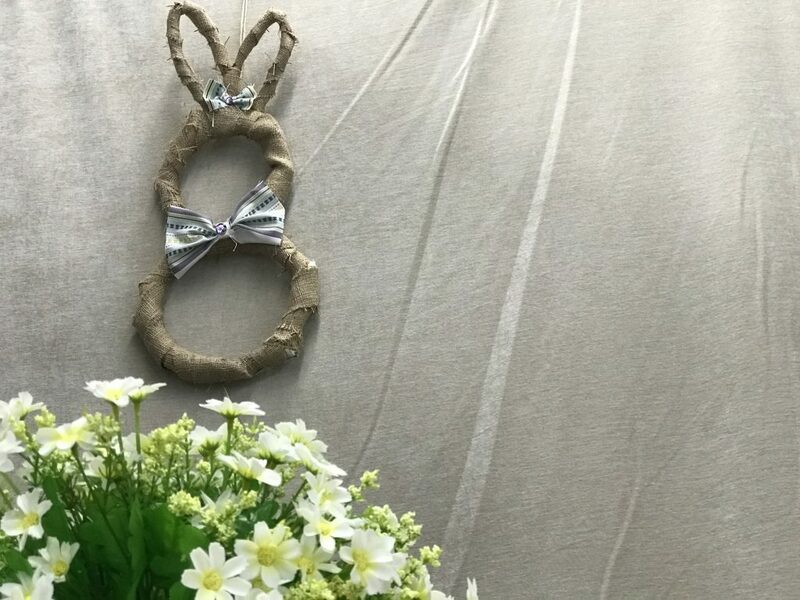 Feel free to add any trimming or finishing touches to incorporate your own personal flair. This look is perfect for Valentine’s Day, but it’s also a great transition piece for early spring. We’d love to see pictures of your finished projects! Share with us in the comments or send them to fdsazmarketing@gmail.com. Let us know if you have any questions.